Obsessions over 'scenarios' sees World PvP and faction pride take a backseat. It’s strange watching the rise of player versus player (PvP) prominence within massively multiplayer games. First exposed to the concept in Ultima Online when out in the wilds of Britannia, I’ve watched it evolve from what was a seemingly a recreational activity when not questing or exploring, to it taking pride of place as a must have within the genre. Though PvP is in no way exclusive to MMOGs - any multiplayer game could be considered to be offering a PvP experience in some form (from Soul Calibre’s versus battles to the offerings of Battlefield’s 64 player maps) - what is apparent with the recent crop of MMOGs is that many players are no longer primarily seeking questing, exploration, crafting or trade as a staple to their experience, but are instead continuing to to find enjoyment in competing against others in predefined scenarios or open world encounters. 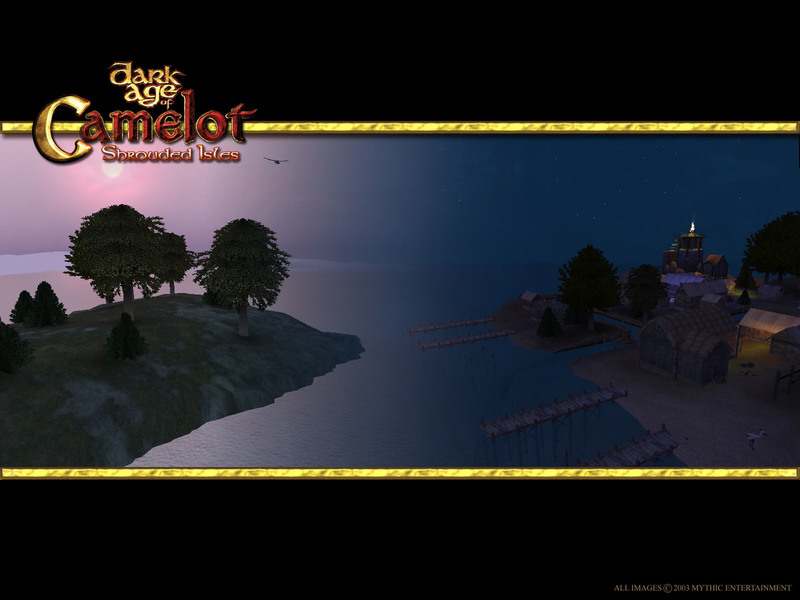 Neocron and Dark Age of Camelot (DAoC) are two games which changed the PvP landscape, and I often champion both as benchmarks for where developers should be drawing their influences. Each share some similarities, and while they each offer a unique style or setting, both drew players together through pride and possession. In Neocron, PvP revolved around open world warfare, where faction sympathies determined your allies, your enemies and those neutral to you. Each region on the world map contained a specific outpost which could be captured by your Clan. The benefits of owning these outposts was money, region wide bonuses (such as an increase to your crafting skills), the ability to teleport directly to the outpost (thus saving travel time) as well as pride of ownership. It was quite the sight to see the world map covered in your faction colours, knowing that you ‘owned’ it. 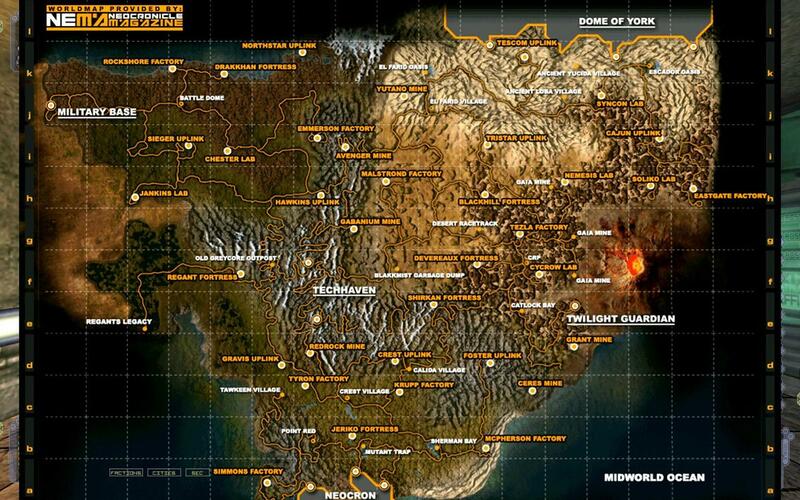 Every named outpost in Neocron's world could be controlled, fortified, and fought over. What made Neocron particularly interesting was the ability to fortify your outpost with security turrets, the use of vehicular combat, as well as the need to actually ‘hack’ three layers of an outpost’s security (with each layer alerting clan members via chat when a barrier went down) before you could actually capture it. Did you wait until the second layer of the outposts security was hacked before you teleported there? Did you even risk teleporting into the outpost’s underground to travel to the surface to risk being killed if enemies were waiting on the surface? Did you teleport to a nearby outpost to then travel to the one being hacked? Did you wait at a nearby outpost to intercept the attackers after letting them capture your outpost? The options available to individuals on how to approach combat situations, such as the ability to send a ‘Droner’ (a Spy who was capable of launching small controllable machines that could fly) ahead of the group made encounters tactical, but also nerve wracking. Not only was the pride of your region ownership at stake, but to die on the battlefield would often result in some serious ‘smack talk’. Unlike many MMO's which segregate races and sides so that players of opposing factions cannot communicate with one another, Neocron made no effort to disallow this. If you killed someone, you would be sure to relay a message to them or them to you, that was guaranteed to infuriate or make you laugh at your victim. Not only did this create a swell of competitiveness, but it allowed you to be recognised and often feared; the small server numbers (several thousand) created personal relationships in PvP encounters. Where DAoC draws parallels to Neocron was in its realm pride through Realm versus Realm (RvR) combat. Players fought for control of keeps which housed Relics. These Relics would gift the holding realm specific bonuses for as long as they held them. Each realm had one unique Relic, with the possibility of a single realm, if strong enough, having the chance to hold all three. What three realms also ensured (and to the fatal mistake of Mythic’s future attempt at Warhammer Online’s RvR combat) was that no side became too powerful, as there was always the potential for two versus one. Dark Age of Camelot might not have aged well, but it still plays very well. Just like the outpost benefits in Neocron, DAoC’s Relics served a greater purpose. They were more than a physical object, they were a goal and a symbol of power for your realm; a tool to create a permanent to and fro between oppositions. They created pride through possession. MMOGs have well and truly drifted away from these foundations and instead, focused heavily on ‘scenarios’ that can be accessed instantly, anywhere in the game world. These encounters are disposable content that serves to entertain players in the short term. Where the problem lies in this single addition to the genre, is that it could be seen to dilute the two key elements that made PvP competitive and exciting. Inevitably (and a much wider issue within the genre) if there is no risk versus reward - to die in a scenario is as inconsequential as dying in Modern Warfare - the question remains; what are you fighting for? Whilst I appreciate the immediacy and fun these scenarios provide, in many ways they entirely undermine the game world, but also triavialize world PvP and a developers focus on creating world wide objectives for players to actually, well, focus on. Selecting a “join scenario” button and being teleported from your current location into an entirely independent arena is something I’ve never truly been comfortable with. Pioneered by World of Warcraft, people still fight so heavily in these scenarios that to encounter someone in the world at one of the “world objectives” Blizzard implemented (to encourage combat outside of scenarios) would be a miracle. Part of the problem is of course the level grind. Inevitably, why would players of the maximum rank return to zones that they are 20, 30 or 40 levels higher than? They wouldn’t, and they don’t. But also part of the problem is that these zones serve no real purpose to the grander scheme of a PvP experience. By also implementing cross-server scenarios Blizzard have further undermined any sense of pride or competitiveness, as not only do you have no chance of seeing the same people again, but the world objectives have no real focus. Alterac Valley, Blizzard’s attempt at an open PvP battlefield scenario, is a mess of ill thought out ideas and a rush to kill the end boss. The sight of a train of Alliance or Horde simply running past one another as they head to the finish line is all too commonplace. However, if Alterac Valley were a physical zone in Azeroth, with a single keep that housed a relic, which gave the holding faction a permanent buff, then it might, just might, be worth fighting for. Instead, we’ve players who care more for items and inventory than we do for individual, racial or team pride. Blizzard aren’t the only developer missing the concept of open world PvP and the pride it can instil in players. Mythic, the developer behind DAoC, forgot every lesson they learned from RvR combat in an attempt to cash in on WoW’s success. Not only did they only have two sides in Warhammer Online (leading to some servers serious population imbalances) but they also concentrated so heavily on scenarios that the world PvP was a mess. Would it have been difficult for them to replicate DAoC in some form by having Destruction, Order and Skaven as the three playable races, fighting over single keeps and Relics? I doubt it. Instead, they were left with world PvP where keeps changed hands like candy and provided absolutely nothing of 'status' to the victors. There is no loss of pride instilled in a player base when a keep changes hands, and no desire to recapture them other than minor character progression. With ArenaNet having dropped the ball with World versus World, despite ensuring there were three sides and have frequently cited DAoC as influences, it's now left to Crowfall and Camelot Unchained to try to salvage the bones of world PvP. Both games look set to have learnt lessons from recent titles, and I hope that they truely understand the need for pride and posession. Having something to fight for, that's tangiable and valued, is incredibly important for any MMO focused on PvP. There's evidence to suggest each of these titles could do it, the sad part is, neither looks anywhere close to a 2019 release.